View our various pools designs to find the right style for your home. View our photo gallery of various pool installs to see our capabilities. Call us at 609-965-5188 for all your pool needs. are manufactured with high quality materials! We are seeking more pool supply companies to partner with! Outfit your home with a fiberglass swimming pool that raise the property value and provide you and your family with an endless source of fun. 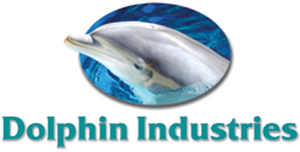 At Dolphin Industries, we design and install the finest custom pools made of fiberglass. Let us know what size and style of pool you are interested in and we will create your own fiberglass swimming pool in Egg Harbor City, NJ. A fiberglass swimming pool is considered by many to be to provide owners with the best value. They are relatively inexpensive compared to concrete pools, and offer many benefits that other pools do not. There is very little maintenance required to take care of fiberglass pool, so you spend less time working on your pool and more time swimming. With just minimal upkeep, you likely do not have to spend money on major repairs for many years to come. The installation process is another advantage of a one-piece pool made of fiberglass. You can have a fiberglass pool installed much more quickly than a concrete pool, which is not only convenient but reduces labor costs as well. The fiberglass material is easy to work with and very smooth to the touch. That you can enjoy your pool as soon as possible, and when you do, you do not have to worry about hurting your feet on a rough bottom. This just one of several reasons that families with children prefer to own a fiberglass swimming pool over any other type of pool. Enjoy the relaxation and serenity of a one-piece pool designed for you. Fiberglass pools are the most cost-effective, which is why they are great for your family. Made with the best quality gel coating for a fantastic, easy-to-maintain finish, these pools look great and retain their vibrant appearance for a very long. A fiberglass swimming pool will provide you and your family with years of healthy fun and priceless memories. When it comes to our pools, our priority is in the quality of our product not our marketing. Since 1997 till now, our sales and marketing staff have been our customers, and word of mouth marketing has been responsible for our success. We have a new website that allows any person not familiar with our company’s accomplishments and products to become familiar with them. Our success is based on high quality not high volume. Our company is a custom designer and manufacturer of quality fiberglass products. We develop and manufacture amusement park rides for some of the largest theme parks in the world, built custom sport fishing yachts ranging in size from 29’ to 51’, and re-engineered the structural integrity of various high-speed offshore racing powerboats. Our custom built powerboats have won consecutive world and national championships. Contact us today to discuss the design of your fiberglass swimming pool. We proudly serve Egg Harbor City, NJ.